I recently went on the Hanyang & Seoul Landmarks Tour with Itaewon Global Village. This is another completely free class that they offer for foreigners. 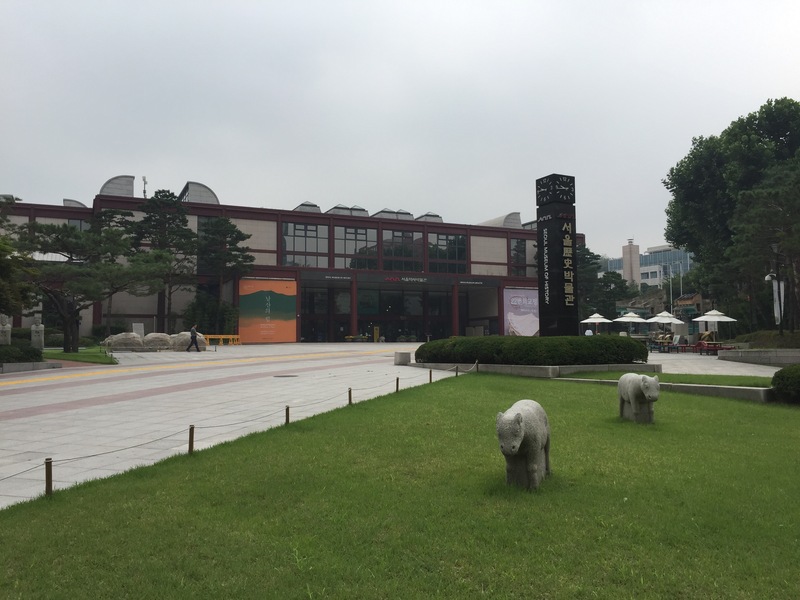 The tour took us to visit the Seoul Museum of History where we also had arts and crafts time! Directions: Take the Purple Line (Line 5) To Gwanghwamun Station and use Exit 7. You will emerge facing Gyeongbok Palace, turn around and face away from the Palace and take a right down Saemunan-ro 2-gil. You will walk straight for a few blocks and you will reach the museum on your right. When we arrived to the Seoul Museum of History, we were taken to a classroom. 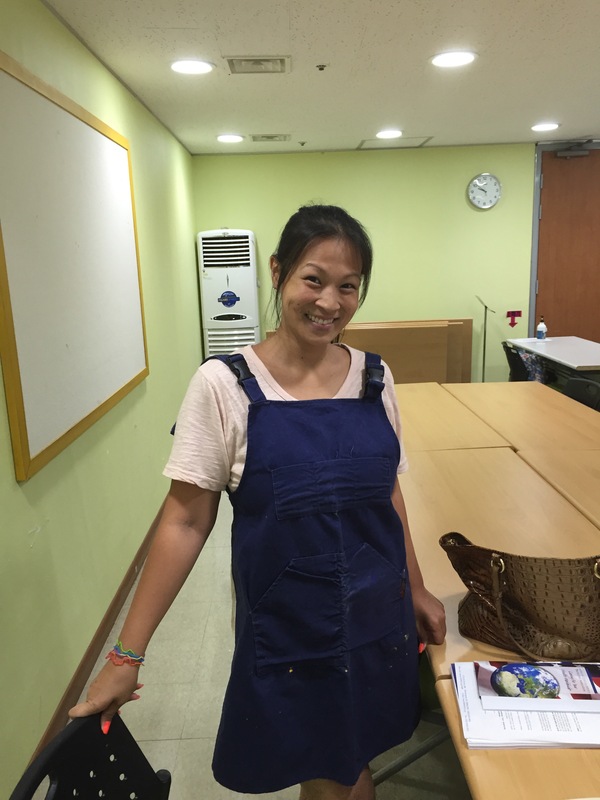 We had a guide from Itaewon Global Village who helped to translate for the guide at the museum. We first learned a little about the history of Hanyang which is what Seoul was called during the Joseon dynasty. Hangman was much smaller than Seoul is now and the Seoul Fortress walls surround what used to be Hanyang. We learned about the location of the 5 palaces in Seoul and also learned that Gangnam signifies, South of the River, where as Namsan signifies, South of the Mountain. We also learned about the four main gates that were built around Seoul, you may have seen the ones in Namdaemun (The gate is called Sungnyemun) and Dongdaemun (The gate is called Heunginjimun). After our history lesson, we got started on our arts and crafts projects. Here I am in my apron, ready to paint! 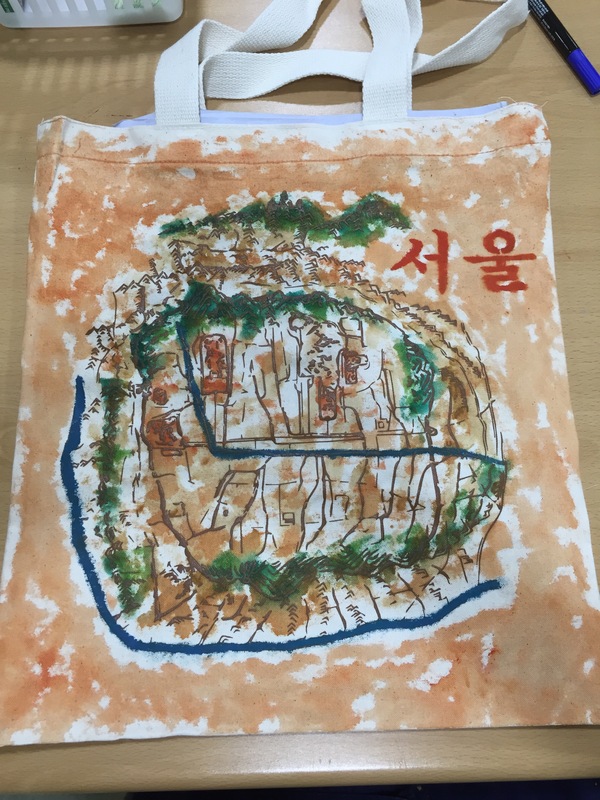 We were given canvas bags with Hanyang printed on them. 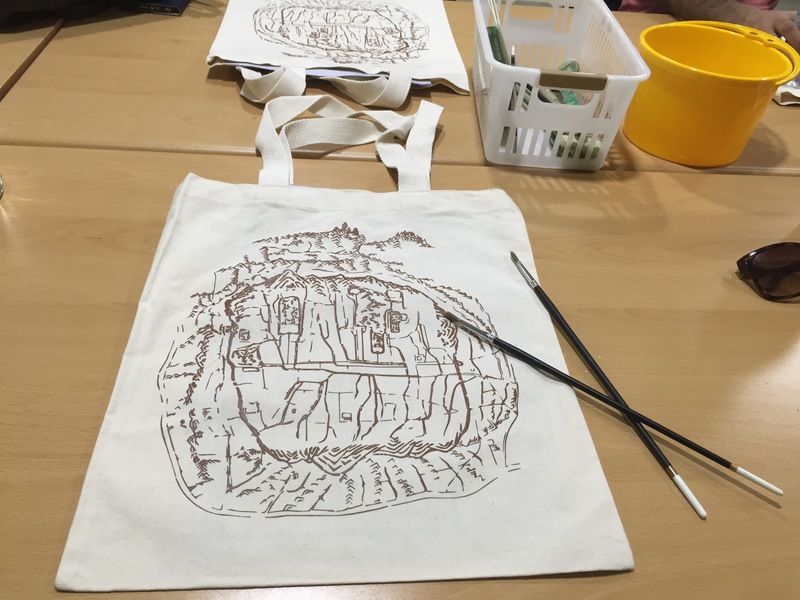 This map of Hanyang was carved into a wood stamp. Here is my final product! After the arts and crafts portion we were given audio guides and free reign of the museum. The tour was nice and informative and if you are really into history, you can spend quite a bit of time here at the museum. We spent a few hours looking around the exhibits and then went to grab some lunch. I’m excited to use my new canvas tote! Previous Post What is on Korean TV?